The Orange Crush CR60C represents years of research, developing and testing a solid-state amplifier which Orange are truly proud of. The Crush CR60C is an analogue, solid-state, two channel (dirty and clean) amplifier based on the prestigious Rockerverb range. The dirty channel uses a circuit based on four stages of gain and a three band EQ, providing the player with a wide pallet of over-driven and distorted sounds. The clean channel is based on a two stage, two band EQ design, that gives the player a clean but warm sound which when cranked begins to break up, just like a Rockerverb! A transparent effects loop, allows you to plug in your favourite pedals to open the amplifier up to a wide variety of situations and playing styles plus an inbuilt digital reverb, provides the player with a natural sounding spring, hall or plate reverb. 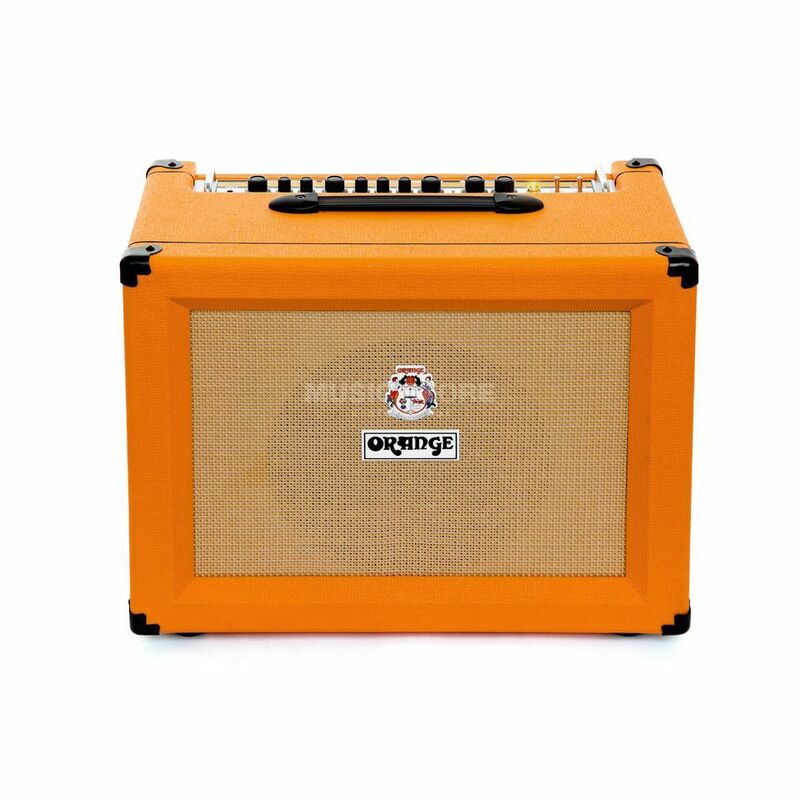 The Crush CR60C is a 60W solid-state guitar amplifier combo made from 18mm ply and loaded with Oranges own 1 × 12 inch 60W, 16 Ohm Voice of the World speaker. The speaker is of the highest quality, both in terms of construction and tone. The Voice of the Worlds combined with the analogue solid-state circulatory gives the CR60C the tonal clarity and definition players adore in an Orange amplifier.